Demountable Partitioning is non-load bearing relocatable partitioning systems for internal use. Partitioning used to be plain and simple: drywall-based partitions with door and window frames inserted here and there. But today’s commercial and retail environments can be restricted by this traditional approach. That’s why we offer a range of contemporary solutions to suit your space. Demountable Partitioning blends high design and the very latest in materials and technologies. While drywall-based partitions still have their place, sometimes you’ll want more. 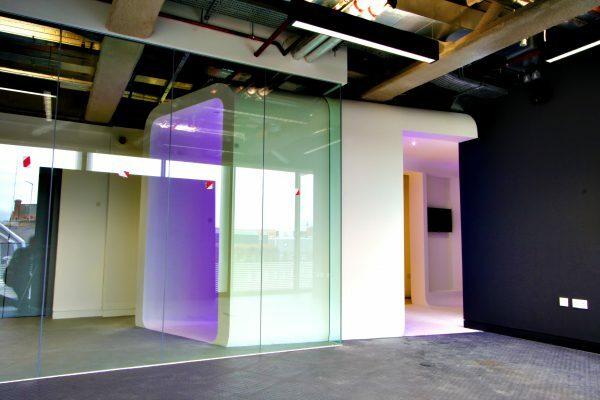 Ask, and Design & Visual Concepts delivers: we’ve supplied contemporary glass partitions (with integrated glass doors, windows and storage spaces) for several high-profile office and retail premises.